Somehow I managed to end up between the pages of The Kelsey Review again! This time it’s an excerpt from one of the books I’m throwing out there for your approval, The Heiress of Bearberry. 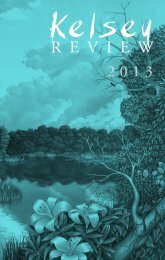 You can take a look right here at this site, or you can click on this link for a nifty turn-by-turn version of the 2013 edition of the literary mag. It’s chock full of all kinds of talent from Mercer County, NJ (that’s New Jersey’s capital county for those left unawares), from photos to original artwork, to poems and short stories and of course, excerpts from soon-to-be-sold novels extraordinaire. Who knows where it may lead? 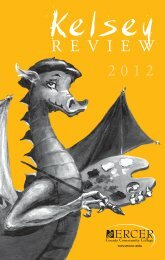 Last year I was lucky enough to get nominated for a Pushcart Prize, for a my short story “Hawks” in the 2012 edition. Pick up a copy and you can say you knew me when! Well said, Dottie, well said.